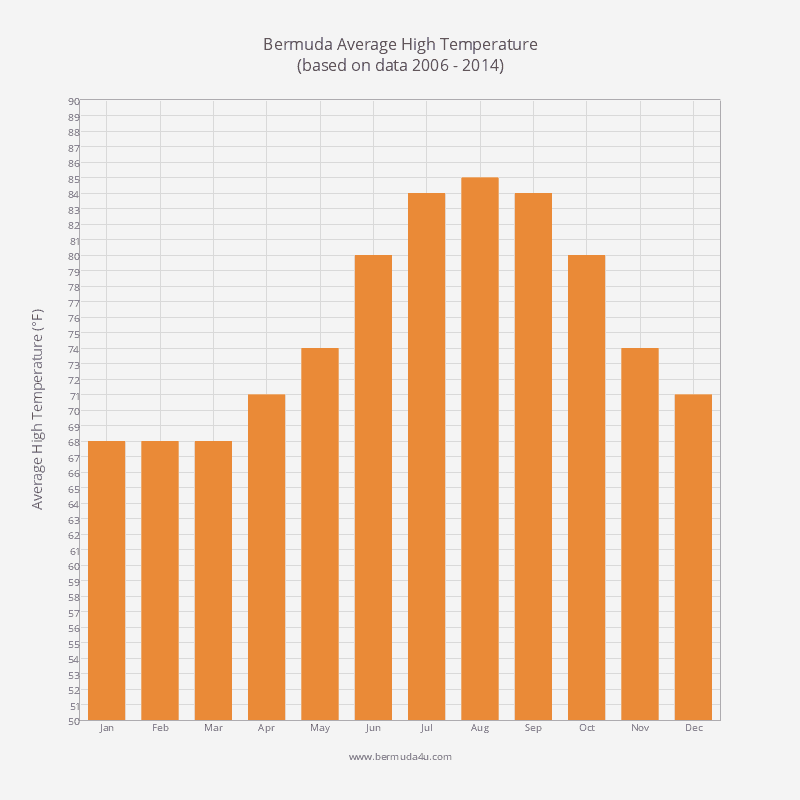 August is the hottest month of the year in Bermuda (average daily high 85 F and average daily low 77 F) and tourists are on the island in significant numbers. The great weather means hotel rates and airfares are high. The sea is also at its warmest (84 F) and it’s a great time to go snorkelling, although visibility has dropped to around 75 feet. 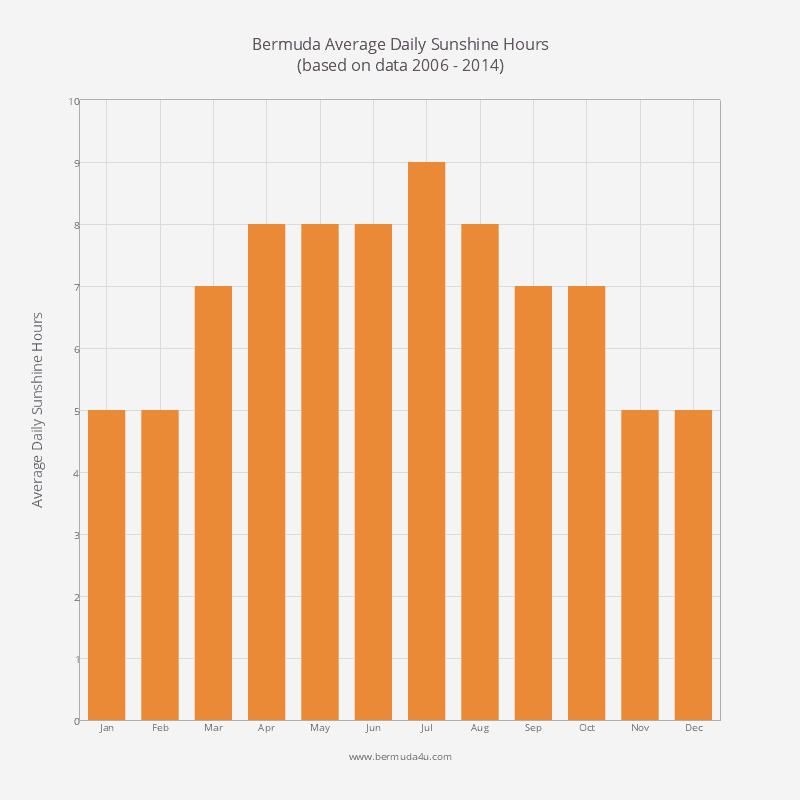 Visitors can expect around 8 hours of sunshine every day. Sunrise is around 6.45 am and sunset about 8 pm. The most severe sun is between 10 am and 2 pm. To avoid sunburn use a sunblock and take extra care with areas that don’t normally see the sun. August is one of the most humid months of the year. 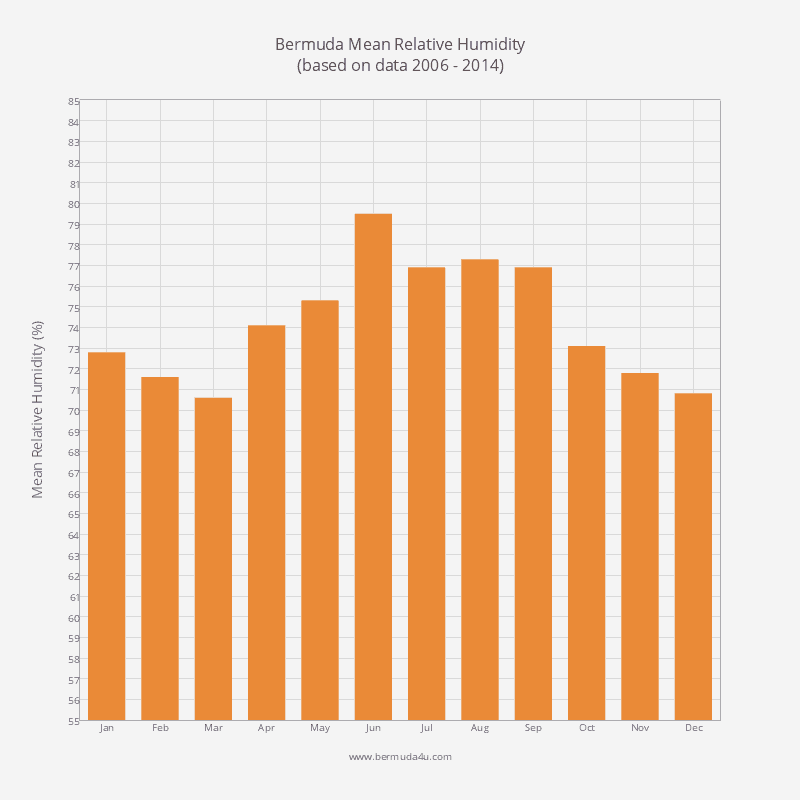 Mean relative humidity in recent years has averaged 77.3 percent. The month falls within official hurricane season, though the likelihood of one (still rare) is higher later in the year. Events taking place in August include Harbour Nights, Gombey Saturdays in the Park, and the wacky Non-Mariner’s Race at Mangrove Bay. In August 1934 American explorer and marine biologist Charles William Beebe descended 3,028 feet into the ocean off the coast of Bermuda in spherical submersible called the Bathysphere. He set the world record for the deepest dive by a human. A replica of the Bathysphere is on display at the Bermuda Underwater Exploration Institute. 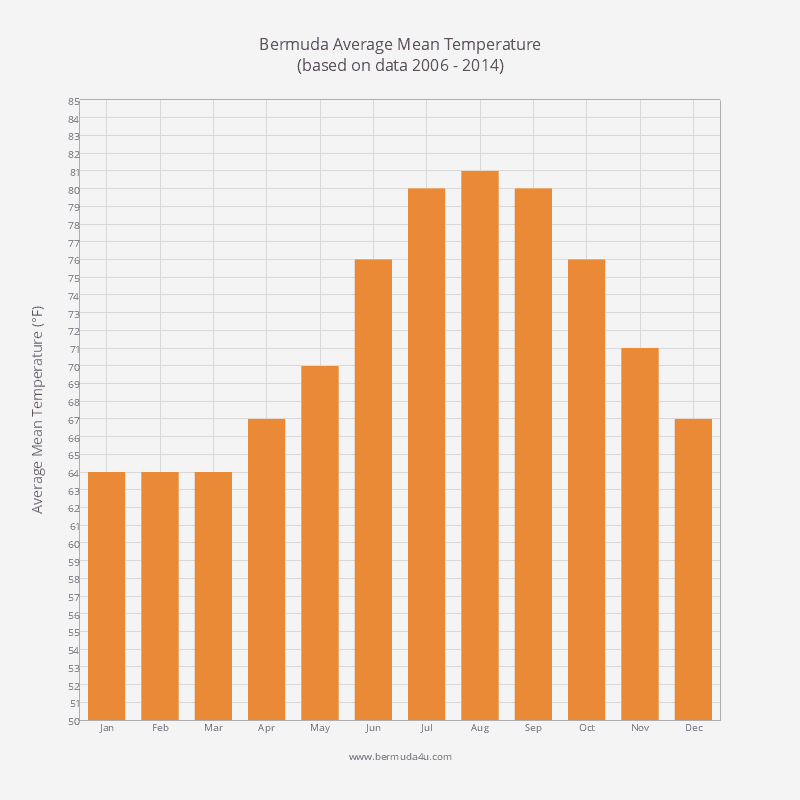 Bermuda’s highest ever recorded temperature (93 F) occurred in August 1989. The average daily high temperature in August in recent years has been 85 F, making it the warmest month of the year. 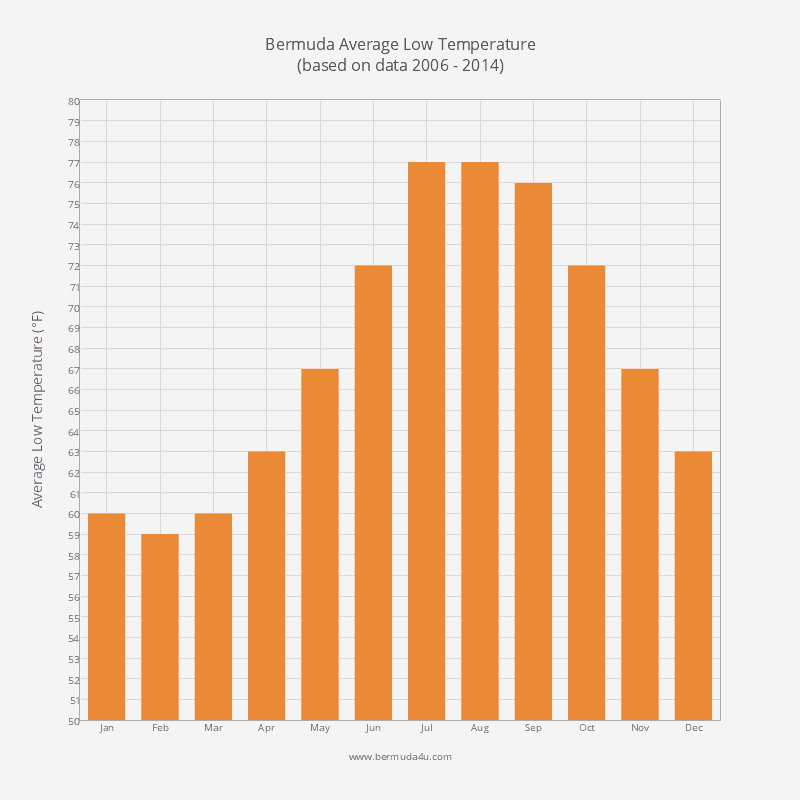 The average daily low temperature in Bermuda in August is 77 F.
August’s average mean temperature has been 81 F over the last few years. 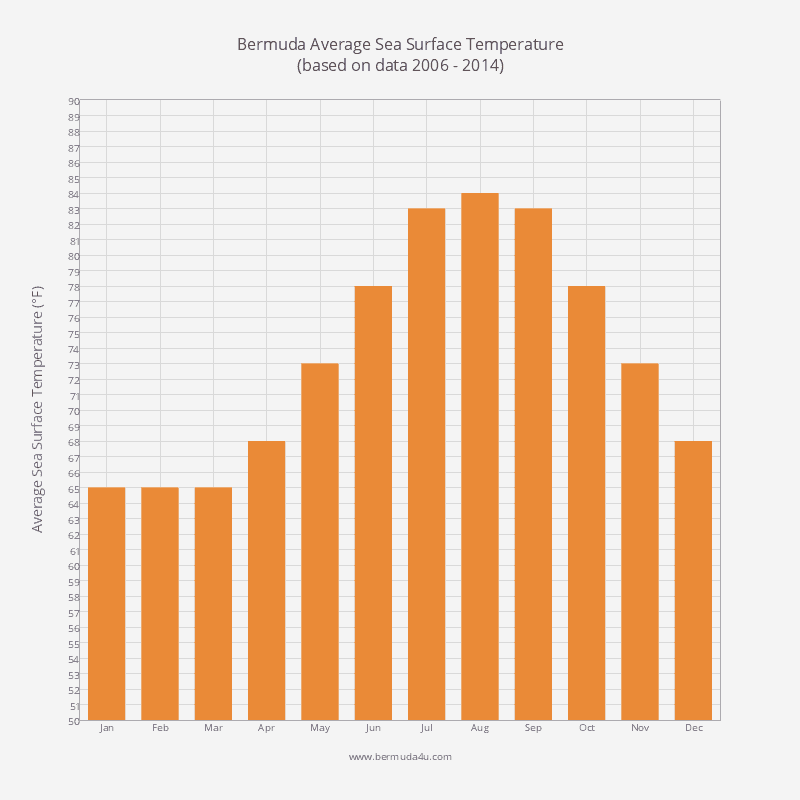 The ocean is the warmest it will get all year. There is no rainy season as such in Bermuda. 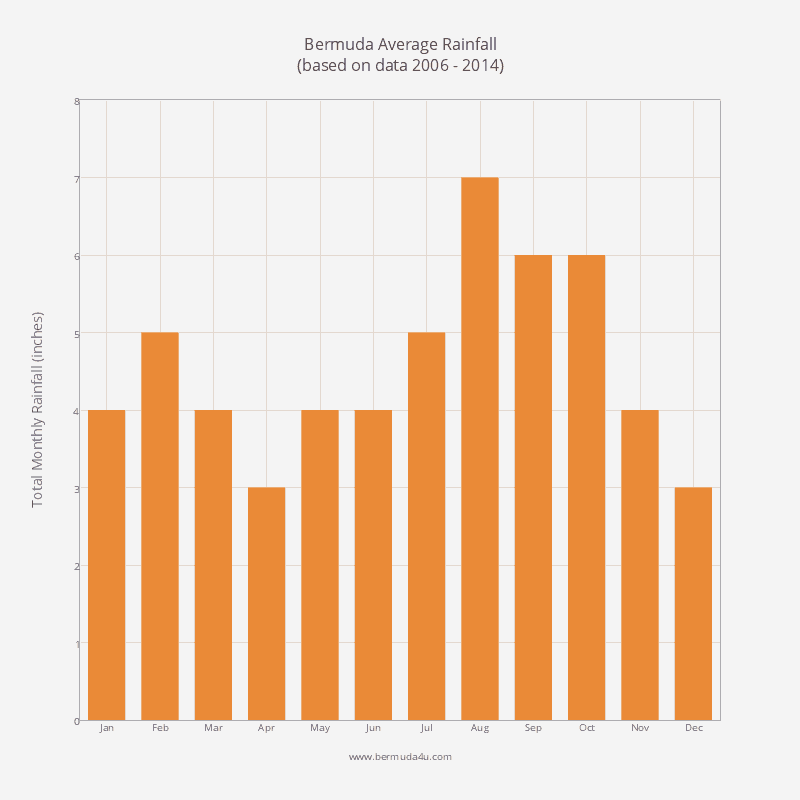 In recent years, August has been the island’s wettest month, though the average is skewed by recent data. 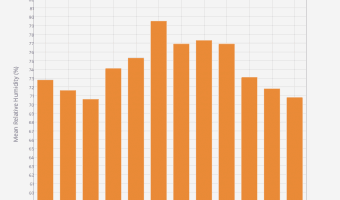 August 2014 saw 14 inches of rain and was the wettest August on record. August 2013 also saw frequent showers and thunderstorms. When it rains, it will more than likely be a short, heavy downpour that will quickly dissipate. 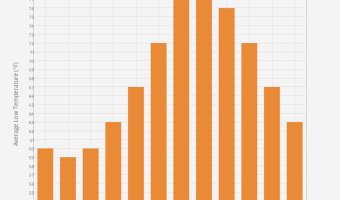 Expect around eight hours of sun on an average day in August.